Learn successful business strategies to help you build and grow your coaching business. 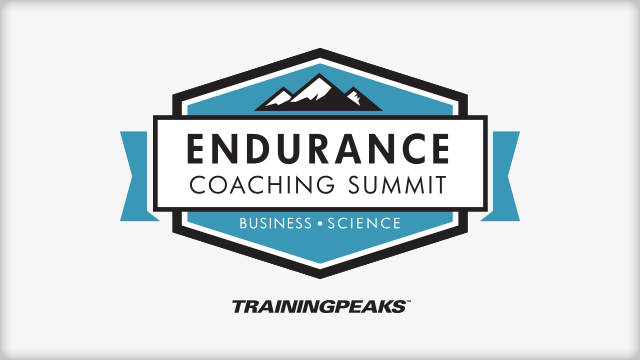 Listen to the world’s top endurance coaches and business experts discuss topics including, finding new clients, marketing and social media, partnerships, teams and clubs, financial strategies and more. Discover how other coaches have found success and be inspired to take your own business to the next level. You will also get the latest research and science based strategies used by the world's leading endurance experts and start incorporating them with your own athletes. Listen in on topics and expert panels discussing the latest in physiology, training with data, athlete psychology, sport nutrition, aerodynamics and more. Upon completion of viewing the online summit sessions, you will unlock access to download a Certificate of Completion. USA Cycling certified coaches receive 7 CEUs, USA Triathlon certified coaches receive 5 CEUs, and USTFCCCA certified coaches receive 2 CEUs.